Studied under composer Takashi Miki (三木たかし). In February 1993, made a debut with single “Kannaduki Ni Dakarete (神無月に抱かれて)”. Released the single “NE-KO” in October 1995, and single “Busu Sutopu 2 (バスストップ2)”. In January 2002, first album “monologue” was released. In October 2002, 10th anniversary single “Labu Balaado (ラブ・バラード)” was released. 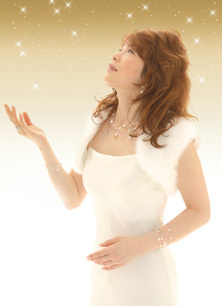 In March 2008, single “Sakura No Hanayo Nakinasai (さくらの花よ　泣きなさい)” was released. In October 2008, released “Hoshini natta Meikyoku tachi – Miki Takashi Sakuhin shuu (星になった名曲たち〜三木たかし作品集)”.